North Yorkshire Sport support the delivery of the NYCC Primary Leadership Network meetings. These sessions support head teachers with Leadership of learning opportunities, research and initiatives to improve teaching and learning , deliver local and national messages, inform head teachers of statutory requirements and publicise professional development opportunities. 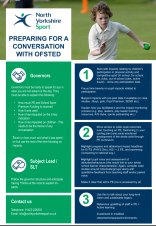 Inspectors will assess and report on how effectively the PE and Sport Premium funding is being used to improve PE and sport provision when making the judgement on the quality of the school's leadership and management. 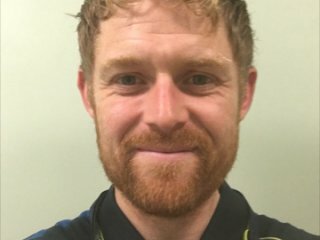 North Yorkshire Sport, alongside a PE specialist who has recently been inspected, have put together a preparing for Ofsted document . Click on the image to the right to see the guidance. 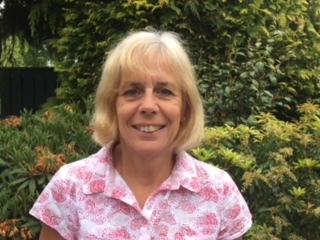 For further information, the association for Physical Education have developed an Ofsted inspection and the primary PE and sport premium document to support primary schools. Example questions and criteria are included. 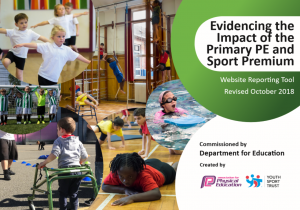 Schools which can demonstrate the impact of the grant on pupils in and through PE, including other curriculum subjects and priority school development areas.